The phrase ‘save the planet’ grates for good reason. Nothing that humankind can currently throw at it, greenhouse gases included, can affect the existence of planet Earth. Even if every nuclear weapon were detonated simultaneously for good measure, the planet would continue to orbit its sun as if nothing had happened. The sun, however, does have a fiendish fate in store for Earth, after devouring Mercury and Venus. Nothing can save Earth, during the sun’s inevitable expansion into a red giant. But of course saving the planet is shorthand for saving a liveable planet. Unleash sufficient greenhouse gases and not only will the already elevated rate of extinctions greatly accelerate, a Venus-like atmosphere could form, making life itself impossible. The Earth’s period of habitability is nearly over—on a cosmological timescale. In a half to one billion years the Sun will start to be too luminous and warm for water to exist in liquid form on Earth, leading to a runaway greenhouse effect in less than 2‍ ‍billion years. This means that should mankind bring forward the demise of the oceans, by persisting in burning all the fossil fuels to hand, the planet will not get a chance for the life to evolve here a second time. Some may be tempted to think that depriving the planet of life half a billion years early is neither here nor there. But that is sufficient time for about 20‍ ‍million more human generations to live, as compared with the mere 10‍ ‍000 generations that have existed since Homo sapiens sapiens evolved. Short of doing something as drastic as fundamentally altering the atmosphere, humans had every expectation of emulating the longevity of some other spectacularly successful species, such as sharks, by being around in half a billion years. Nor will humans be amongst the first to succumb to the anthropogenic extinctions. The species, as collectively undeserving as some may consider it to be, will hang on tooth and nail and will be amongst the last to go extinct. There is, of course, a much more compelling reason why a history of natural extinctions should not absolve humans from guilt over the quickening anthropogenic rate. Without massive mobilisation to reduce fossil-fuel combustion, to reverse population growth, and to maximise food production, life for most is doomed to become wretched in the extreme, and for generations to come. The only real plan for jobs and economic growth is the rebuilding of Christchurch. Very socialist indeed. No nonsense about the free market here. Huge public resources are being mobilised. The whole economy should be mobilised in the same way to fix our economy and get the unemployed into work. Typically incisive, but what a ‘fixed’ economy would look like is another matter entirely. Booming economies, to date, are those hell-bent on wrecking the climate. It is too late to stop global warming—it has been underway since the beginning of industrialisation. But Dr James Hansen et al report that, provided urgent action is taken, carbon-dioxide levels can be restored to that which would see a climate regained that is not too dissimilar to the one in which civilisation developed. 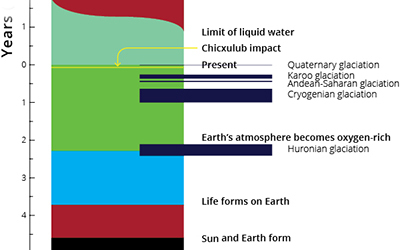 However, if emissions continue business-as-usual, the rate and extent of extinctions could only be considered natural if compared to that caused by the Chicxulub asteroid, which did for two-thirds of extant species, including the dinosaurs. And that is best-case scenario. Worst-case is where runaway anthropogenic global warming robs the planet of the next half billion years of habitable atmosphere. Makes climate mobilisation sound a most moderate option.